From Missouri City, TX, the 6’3″, 210 lb Marshall committed to playing college ball at the University of North Texas. 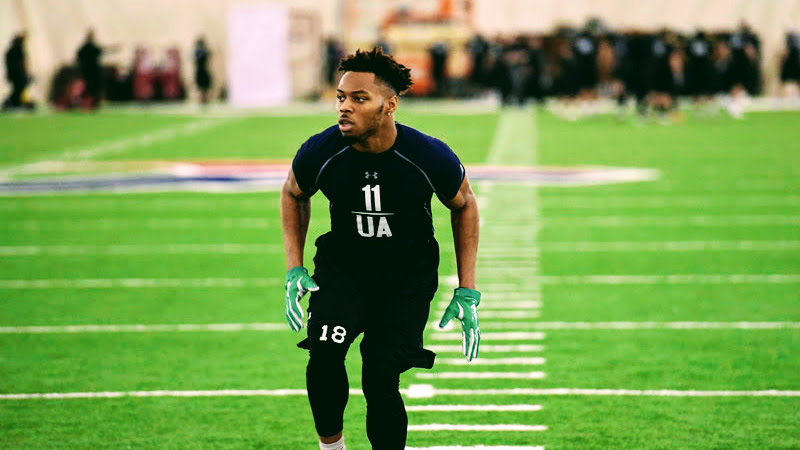 Possessing electrifying speed, Marshall also brought versatility to the Mean Green, playing a bit of OLB and WR in addition to CB and Safety. Marshall also ran track at UNT, helping the Mean Green reach the regionals with a time of 3.09.01. Marshall recorded a 39-inch vertical, ran a 4.41 40-yd dash, and a 2.55 20-yd split during his NFL Pro Day, impressing the Seattle Seahawks in the process. The Seahawks signed Marshall after a solid showing during their 3-day Rookie Minicamp in 2016. At just 23 years old and possessing loads of raw talent, Marshall will bring his elite size and speed at the CB position to The Spring League in 2018.